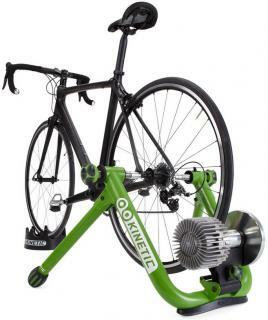 The New Kinetic Road Machine trainer (updated from the original original Kinetic Road Machine) uses a fluid resistance brake that offers a quiet and smooth workout. This is a Smart Trainer and comes with the InRide hardware so that you can connect to the InRide app for targetted data driven workouts. The Road Machine turbo trainer provides a very realistic real life riding experience due to its specially calibrated fluid resistance. It comes fully assembled out of the box so you can get up and going without the need to attach the legs to the frame and the braking unit before you start. 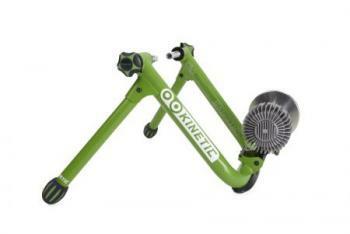 The New Kinetic Road Machine trainer provides 3000+ watts of progressive resistance and comes with a large diameter resistance roller that fits rear bike wheels of 22” all the way to large 29”. It comes with a lifetime warranty.